I've been at the American School of Bombay for about 18 months now, and I've recently started to reflect on just how far I've come in that time. This thinking was provoked by reading Chapter 4 of Heidi Hayes Jacobs new book Leading the New Literacies - a chapter written by colleagues at ASB about the journey the school has taken in the 21st century. This journey started long before I ever arrived at the school, so it was interesting for me to read about the history of these initiatives in changing ASB into probably the most innovative, cutting-edge school in the world, with a culture of innovation and using technology to transform teaching and learning. ASB started this journey in 2000 with the introduction of a 1:1 laptop programme. While at the time this was very innovative, the real move to excellence came in 2006 with the development of a new vision for educational technology for enriching student learning. 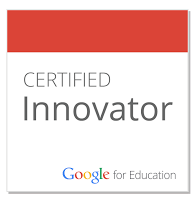 In those days this vision was supported by the creation of a Tech Leadership Team of teachers from across the elementary, middle and high schools, parents and students who prototyped new technologies for learning. ASB is a school that believes in sharing, so in 2008 the first ASB Un-Plugged Conference took place where the school opened up its classrooms to show participants its experiences with technology integration. At this time I was still working in Thailand and I can remember the buzz about this conference from friends who attended. It was a school I knew I wanted to keep an eye on! For me the most impressive thing I heard about ASB in the years between the first Un-Plugged Conference in 2008 and the year I started working at ASB in 2012 was the way that technology was simply ubiquitous and was completely focused on good teaching practice and student learning. In 2011, when I was at my school in Switzerland, I asked if I could use my PD money to go to ASB Un-Plugged to learn more about tech integration, but this request was turned down because I was told the school was not intending to adopt a 1:1 policy. More than anything else, this decision led me to decide that my days were numbered there, as there was a complete mis-match between my vision and the vision of the management of the school about technology. Little did I imagine, however, that within weeks of being turned down for my PD request to attend Un-Plugged that I would actually be offered a job there! In my previous job I'd spent 3 years working with teachers to move away from a one-size fits all approach to technology where all classes in the same grade were using the same tool, to one where students had more choice. ASB had already made this shift towards more 21st century thinking and through a very intentional programme of parent education, had got parents on-board too about the need for change to prepare students for a future that we couldn't yet imagine. Over the previous few years at ASB courses had been designed for parents so that they could learn the same tools that their children were using at school. This evolved into the ASB Online Academy which now offers courses for parents, teachers and students. The ASB Online Academy is a wonderful way of getting anytime, anyplace PD, and educators from around the world have designed courses for it. As well as this in-house PD, teachers have been encouraged to attend and to present at global conferences and have led PD sessions at school. Consultants have also been brought in to work with faculty on whole school initiatives such as project based learning, digital storytelling and the establishment of Critical Friends Groups as learning communities to reflect on changing practice. In 2011 ASB started Superstructing. This was not a term I'd heard before I came to ASB, but it is based on the ideas of Jane McGonigal for reorganizing systems and structures by building on the foundations that already exist. The first thing to be Superstructed was the teaming structure, where two new teams were established: Teaching and Learning (T&L) and Research and Development (R&D). The T&L team's focus is on implementing research-based best practices, in particular personalized learning and 21st century skills, while the R&D team studies and prototypes new practices for the future. The teams are open to anyone who is interested in being on them and many teachers volunteer. I am a member of the R&D Core Team, which is further divided into a number of smaller task forces. Over the past 18 months I have worked on task forces involved in studying and prototyping mobile devices, internships and new forms of PD. As mentioned previously, one of the things that sets ASB apart is its focus on sharing. This is a real contrast from some institutions who see other schools as "competition" and don't encourage the sharing of any ideas! As well as opening our doors to hundreds of educators from around the world each year, ASB has also established an International Research Collaborative to study topics and share experiences such as 1:1 technology across international schools around the world. I can hardly believe my good fortune at ending up in an amazing school like ASB. Having accepted the job the school flew me out to India for a week for induction. This happened 5 months before I even started there. The rest of the new staff were flown out in the April for a week long 1:1 institute to get them ready for working at ASB. I truly don't know of another school in the world that does this. Teachers who are already at ASB are encouraged to share their expertise by become coaches - we bring in trainee teachers from overseas, mentor local teachers through a 2 year teacher training programme, and employ novice teachers to work alongside our master teachers as co-teachers, giving those new to the profession valuable overseas experience at an international school. ASB really values its teachers and it's interesting to know what they are looking for when hiring: the top qualities that are important are being innovative, collaborative and reflective, being open to embrace change and of course to have excellent skills in integrating technology. In turn, ASB's new model of teaching and learning is attracting teachers from around the world. I have grown and developed in so many ways over the past 18 months I've been at ASB. It has been inspiring to be part of a teaching community that embraces change and where my colleagues are constantly thinking of better ways to enhance teaching and learning. I love the whole ethos of collaboration and sharing and the way that the school invites feedback by listening to and respecting everyone's ideas. And this year I'm so looking forward to being a part of the upcoming ASB Un-Plugged - and to sharing what I have learned with others who are coming to see what we do and how we do it. Would you like to know more? 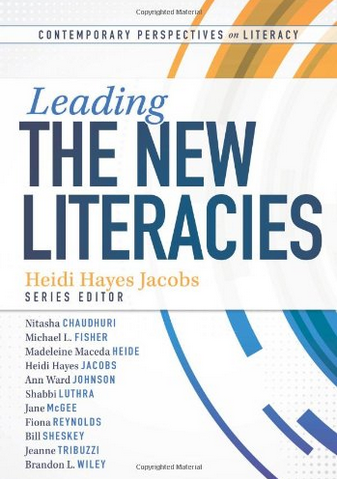 Here is a link to where you can purchase Leading the new Literacies.